I just returned from a two week visit with my daughter in Hawaii. It was my first time there and I’m still digesting all that gorgeous visual richness of colors and textures. Tropical fish, rain forests, sensuous warm sand, wild lava rock formations and sea turtles! Lots of ’em! This one (about 2 or so feet long) was resting on rocks near a fairly busy beach but didn’t seem to mind me sitting close by to draw a portrait. 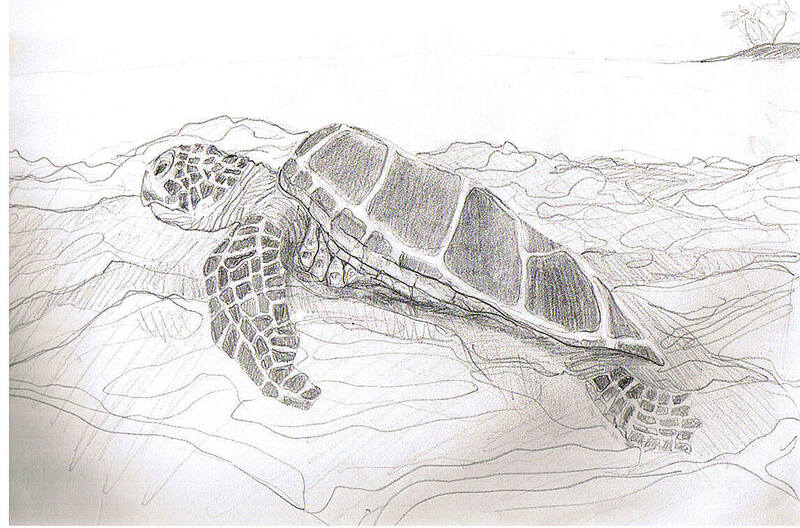 I loved drawing the patterns on the shell and limbs. 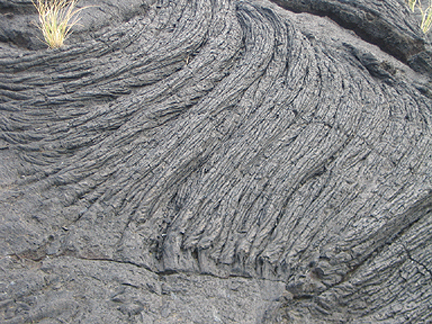 I was also fascinated by the lines and textures in the volcanic rock. Some formations looked like thick black cake batter that had hardened while flowing. How all this visual input will effect my art remains to be seen but I trust it’s all percolating in me somewhere. This entry was posted on January 26, 2010 at 4:39 pm and is filed under Uncategorized. You can follow any responses to this entry through the RSS 2.0 feed. You can leave a response, or trackback from your own site. Hey Karen, I just left a message at your website. I’m adding your blog to my reading list. Welcome Janet! Thanks for reading.